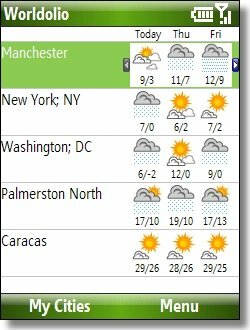 View time, geographical information and weather forecasts for cities around the world: current time, sunrise, sunset, dial-codes, airports, and much more. Weather can also be manually updated whenever you have a data connection (GPRS/WiFi/etc.). 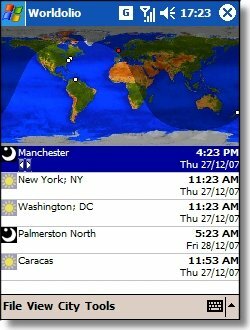 This software gives you easy access to the local time any place of your choice in the worlds time zones. Easy to install and to set up. No hazzles. No bugs. For the traveller who needs to know when is when and where. Easy to use and lots of features. Excellent price too.